It can be difficult to eat lower carb and add more veggies into your diet – and try to keep the calorie count under control! Pinterest is a great place to search for new recipes to add into your rotation. I found the recipe for this Cauliflower Chicken Fried “Rice” here at That Low Carb Life during one of my searches. It’s super easy to make! I used frozen riced cauliflower from the grocery store to save time, but of course you can make your own “rice” from fresh cauliflower. If you cook your chicken ahead of time, you can literally have this on the table in less than 15 minutes! The cauliflower works great in place of traditional rice – lowers the carbs and adds veggies! It’s easy to adjust the soy sauce, chili paste and other seasonings to taste – just add more or less to suit your palate. This card is made using Party Pandas from Stampin’ Up (it’s an older retired set) and an embossing folder similar to this one from Cuttlebug. The balloon is colored with Copic markers and the white accent is added with a Signo white pen. This little elephant is Sweet Elle and the sentiment is from the Hugs, Kisses & Birthday Wishes set – both from Unity Stamp Company. I used Copic markers to color the image. This cute set is called Cake and Candles from Darcie’s. I used this die set to cut out the image. The punch for the sentiment is discontinued but here’s a similar one from Stampin’ Up. I colored the image with Copic markers. My favorite black ink to use with Copic markers is Memento Tuxedo Black. It stamps well and doesn’t smear at all when coloring with alcohol markers. I hope these clean and simple cards will inspire you to make some of your own! The images are from the Rain or Shine stamp set from My Favorite Things. They also have a matching die set called Rain or Shine Die-namics. 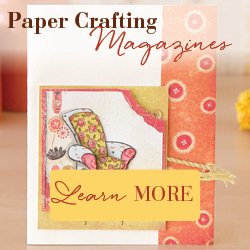 They make it so much easier to cut out your images if you want to add a little dimension to your card!! I stamped the girl and one of the little birds on white card stock with Memento Tuxedo Black ink. I colored them with Copic markers and then used the dies to cut them out. I sponged the cloud background on white card stock with Pool Party ink from Stampin’ Up using a cloud template similar to the one found here. I stamped the puddle, water drops, and sentiment from the Rain or Shine stamp set with the Pool Party ink on the sponged panel. I layered the panel to deep coral card stock and attached it to a white card. Using the dies in the Rain or Shine Die-namics set, I cut out the 2 clouds and sponged the edges with the Pool Party ink. The girl, little bird, and clouds are attached to the card with foam tape. These Fudge Stuffed Chocolate Chip Cookie Bars are a different twist on regular chocolate chip cookies. And you make them in a 9 x 13 pan so the whole batch is finished in under an hour! You can find the recipe here at Back For Seconds. Golden brown and they smell wonderful!!! When we remodeled our home last year (you can see some before and after pics in this post), I decided I wanted to add some pops of turquoise to our decor. I crocheted this Griddle Stitch Pillow Cover, which I loved so much, that I thought I would make another one in a different pattern! This one is super easy to make. It is all single crochet and crocheted in one piece. My pillow insert is 18-inches square. I used Red Heart Soft Essentials yarn in White and Seafoam with a J/6mm hook to make my pillow cover. Begin by chaining 49 with Seafoam. Single crochet in the second chain from hook and in each chain across. Chain one and turn. Single crochet with Seafoam in the Back Loop Only of each stitch across, changing to White at the end of the row. Chain one and turn. Single crochet with White in the Back Loop Only of each stitch across. Chain one and turn. Repeat another row of white and change to Seafoam at the end of the 2nd white row. Note: I didn’t fasten off after each color change. I carried the yarn up the side of the cover as I went. Fold the bottom of the cover up (with the carried yarn on the inside), leaving enough to fold over so it can be buttoned closed. Attach White yarn to the bottom right corner and single crochet through both layers, around the top with 3 single crochet in each corner (being sure to crochet over the carried yarn), and through both layers on the other side down to the bottom left corner. Fasten off and weave in ends. Sew 5 (3/4-inch) buttons about 14 rows down from the opening of the pillow cover. Put in your pillow insert, fold over the top, and button it closed. It will be a tight fit to button through the stitches, but it will work. I love the texture of this simple stitch! This is a really easy pattern to adjust to whatever pillow size or weight of yarn you may have on hand. Simply use a hook size that corresponds to your yarn. Make your beginning chain long enough so when it is slightly stretched across the middle of your pillow insert, it reaches half way around the pillow. Then start with your first row of single crochet. Make one in colors to match your decor! Bunnies bring a little whimsy to spring and Easter. Here’s a fun way to add some cuteness to your Easter decor. 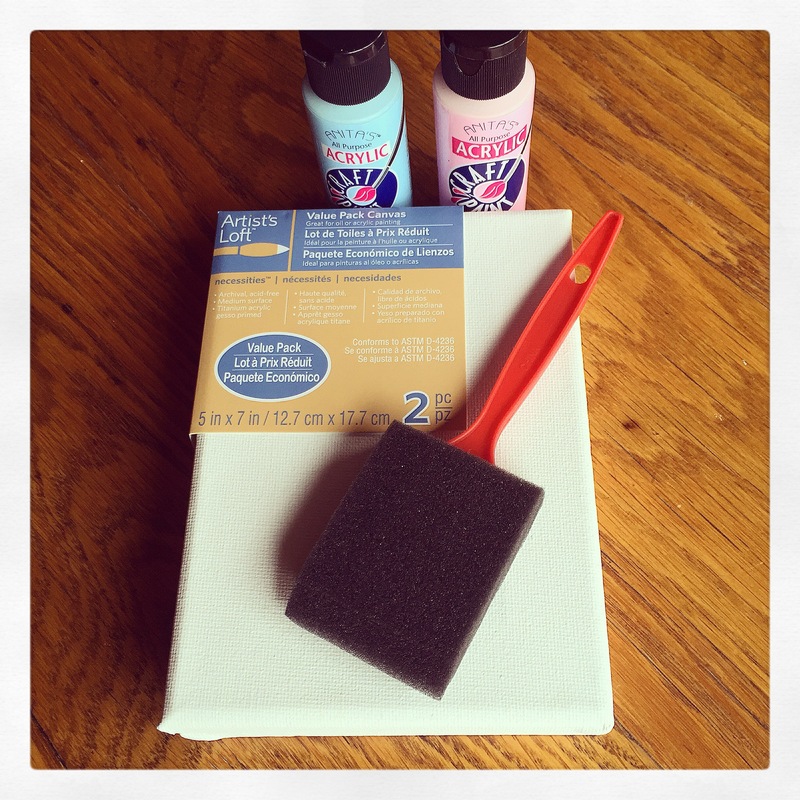 All you need are a 5 x 7 white canvas, a little paint, some patterned paper, and a fluffy pom pom for a tail. Start by painting the canvas. I found that a foam brush worked well for this. I chose to use light blue and light pink acrylic paint, but use whatever color strikes your fancy! I painted 2 coats, letting the paint dry between coats. 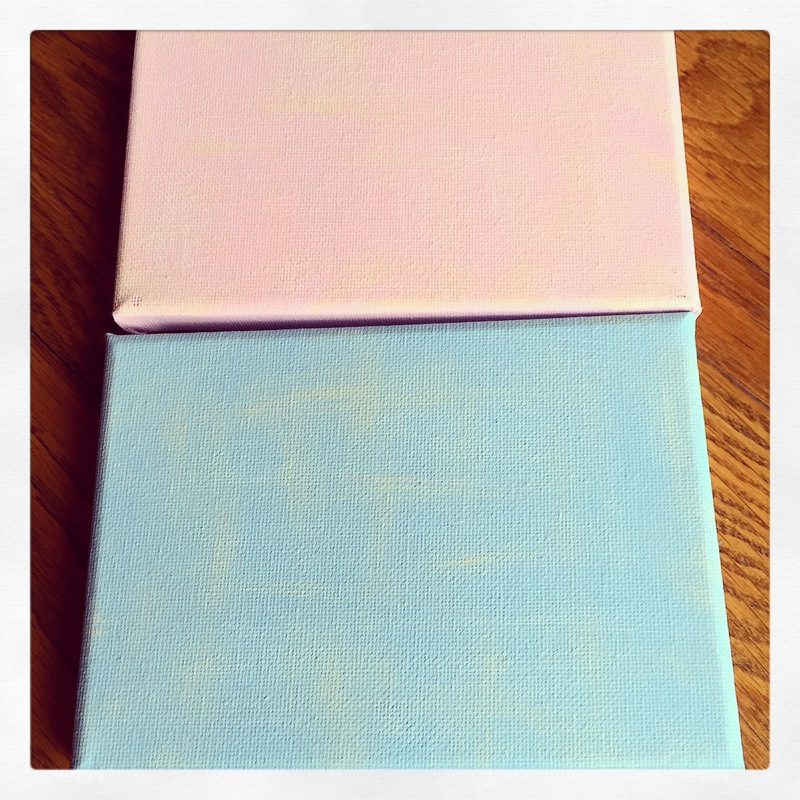 I then dry brushed a little cream colored paint onto the canvas to add a little depth. It’s a bit hard to see in the picture, but I think it added a little something to the project. I used the largest bunny from the die set by Amuse Studio to cut out my bunnies from patterned paper. Unfortunately, the die set is discontinued 😦 . You can search “printable bunny templates” on Pinterest or Google to find similar patterns (like this one) you can trace onto your patterned paper and cut out by hand. 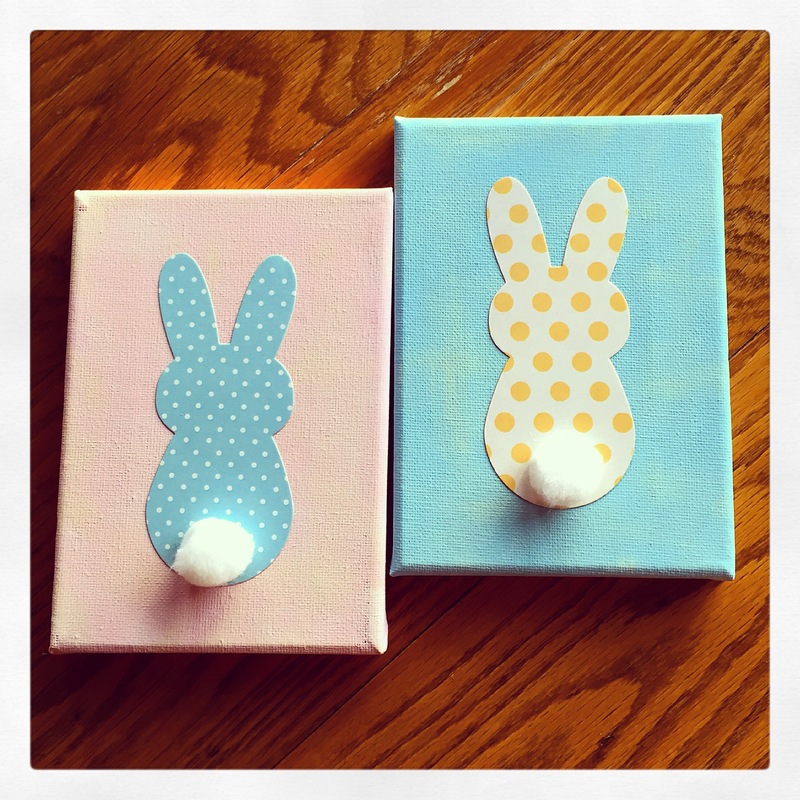 I attached a bunny to each canvas and then glued on a 1-inch pom pom for his fluffy tail. Simple, easy, and cute…use your favorite colors and patterns to make some for your home! I have an easy to make Farmhouse Bunny Wreath to share with you today. It’s fun to make and will add a little whimsy to your door this Spring. You’ll need a styrofoam wreath (mine is 14-inches), some chunky orange yarn (I used I Love This Chunky yarn in Orange Spice), an unfinished wood bunny, small buffalo plaid fabric for the bunny, some ribbon for the bow, and a white pom pom for the tail. You may also want some white paint to paint the back and sides of the bunny. I found all my supplies at my local craft store. First decide which side of the bunny you want to be the front. I decided to have the droopy ear facing out from the wreath. Trace the bunny on the back side of the fabric and cut it out. I painted the edges and back of the bunny with white paint. This step is optional, but I like the finished look it gives the project. After the paint is dry, brush a thin layer of Mod Podge on the front of the bunny and attach the fabric, smoothing out any wrinkles or bubbles. Set aside and let dry. Then hot glue a pom pom to the bunny and tie a ribbon bow around his neck. Now it’s time to start wrapping the wreath. I attached the yarn to the wreath with a couple of straight pins and then started wrapping the yarn – and wrapping and wrapping. 🙂 You’ll want to pull it taut, but be careful not to stretch it too much, and keep it close together. Continue until you cover the entire wreath and secure the end with a couple more straight pins. Attach the bunny to the wreath with hot glue. Make a bow using your favorite ribbon and attach to the wreath with hot glue. I tied some twine around the wreath behind the bunny to use as a hanger. I really like the way this Farmhouse Bunny Wreath turned out – I hope you like it, too!